Fashionistas are a highly-social bunch, but they are also relatively rare, and very specific in their interests. So when the team behind Melbourne Spring Fashion Week (MSFW) decided to increase their use social of media to grow their audience, they were determined to get it right. 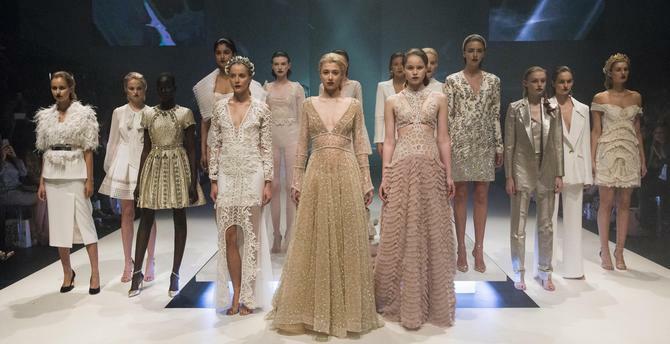 MSFW is an annual production from the City of Melbourne, which showcases local and international designers as part of the City’s destination marketing and economic development activities. According to the executive manager for commercial and marketing within the Events Melbourne team, Lucan Creamer, the City’s vision for the event is to drive the economic impact of the industry. “Making sure that we are getting people to attend, but inspiring them to shop based on that attendance, is our ultimate goal,” Creamer says. Creamer says his team was aware there was more that could be doing in relation to customer insights, particularly in relation to behaviours, and had been impressed by the work IBM had done in social analytics at the Vivid Festival in Sydney. This resulted in MSFW entering into a relationship with IBM three years ago to act as its official innovation and technology partner. The partnership commenced with IBM providing social media analytics services ahead of the 2014 event to better determine audience sentiment and hence help plan the event strategy. That led into the development of an influencer outreach program. “Ultimately we can talk about the event, but it is much stronger when someone who is an industry expert talks about it and advocates on our behalf,” Creamer says. The following year saw IBM’s work expanded to develop profile and personas within the MSFW audience. That saw IBM bringing together multiple data sources to create a singular customer view. “We had all of this disparate data, some sitting in excel spreadsheets, some sitting with our research agency, some on our EDM database, some at Ticketmaster,” Creamer says. “We wanted to pull that all together, so we used the Marketing Cloud to do that. That bought all the data together, and starting shaping it to give us personas or profiles of our customers. “Rather than making generic statement, we are very specific depending on which channel we went into and which audience we were actually targeting. The success of that strategy was reflected in a 180 per cent uplift in engagement on Facebook and Instagram. That lead to six of that year’s eight shows being sold out – a massive increase on the previous year, according to Creamer. The creation of personas also supported the develop of the MSFW: Mr program for men, featuring a full designer showcase down at Melbourne Town Hall. Making the event a success at such a large venue relied on organisers selling around 1500 tickets. “Men’s fashion in Melbourne is growing at a way higher rate than female fashion, so we wanted to jump on that trend,” Creamer says. “It was a big ask, given the majority of men who are interested in fashion and will attend a runway show in Melbourne is quite a small group of a couple of hundred people, and we had most of them our database already. In 2016, MSFW focused on further developing its profiles, using additional data sources such as social and Web behaviour. Stronger insights were also a key reason for MSFW launching a new app this year, designed and built by IBM. “Now that we are building those profiles and insights, we want to have a closer relationship with an audience based on those insights,” Creamer says. “We can actually deliver them specific messaging and offers and content, directly tailored to them, to get them motivated to go to the event but then into retail as well. The app is also integrated into the Marketing Cloud, so we can analyse everything that happens within the app, and then push messaging that is relevant. In addition, it provides a potential opportunity for MSFW to maintain communication with its audience throughout the year, with Creamer investigating ways it could be relevant outside of the core week-long event. The next iteration of the relationship will see MSFW integrating IBM’s cognitive computing technology to gain deeper insights from its datasets. “We have really moved from where we were three years ago,” Creamer says.